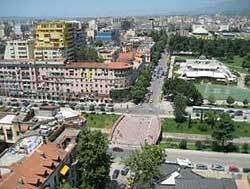 Also called New Tirana, the Tirana City Centre is an area under state protection. 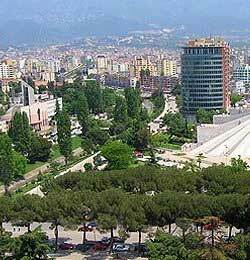 It encompasses prime residential neighbourhoods along wide, green boulevards from the central campus of Tirana University till Skanderberg Square. Tirana City Centre is home to the capital’s shopping centres and the lively night scene along Ish-Blloku (The Block) and the Tajvani (The Taiwan). Among the poshest addresses here are the neighbourhoods west of the University, bordering the lush green shade of Saint Prokopi Park. This used to be the guarded home of important political figures, but has since opened to the public, although it is still considered an elite neighbourhood. Expatriates often rent homes in this area. The playground of the elite (and their privileged children, decked out in modern brands and toting the latest gadgetry) lies in the chic neighbourhood of Ish-Blloku (The Block). Its cheerfully-painted façades, shopping areas, trendy bars, restaurants, cafés are the last word in Albanian-style cool. It is an active neighbourhood all day and night. Fashionable Albanian youth come to hobnob with each other and enjoy the busy nightlife. The Block was previously home to the most privileged of the Communist state, but today most of its buildings have been converted into hip bars (the most famous of which used to the villa of former dictator Enver Hoxha). There are still some crumbling factories remaining, which don’t dampen the exuberant atmosphere. The Tajvani, situated in downtown Tirana, is a favourite party place of local celebrities and tourists. There is a huge water fountain and a brightly-lit bridge illuminating the restaurants, clubs, and casinos. Shukurit. A good residential area, the Shukurit neighbourhood is on the north side of the Lana River, nestled behind Youth Park, whose tree-lined boulevards provide nice walking. Because it is outside the city centre, this peaceful neighbourhood is cheaper. Many say that the authentic Tirana experience can be found here.